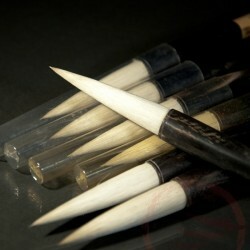 Very beautiful calligraphy brushes. This brush has a beautiful bamboo handle. Very good brushes for beginners in calligraphy.